Indian National Award-winning actress Sonam Kapoor Ahuja, who is gearing up for the release of her forthcoming film ‘Ek Ladki Ko Dekha To Aisa Laga’, has said she doesn’t believe in labels, which are associated with the actors in the film industry. 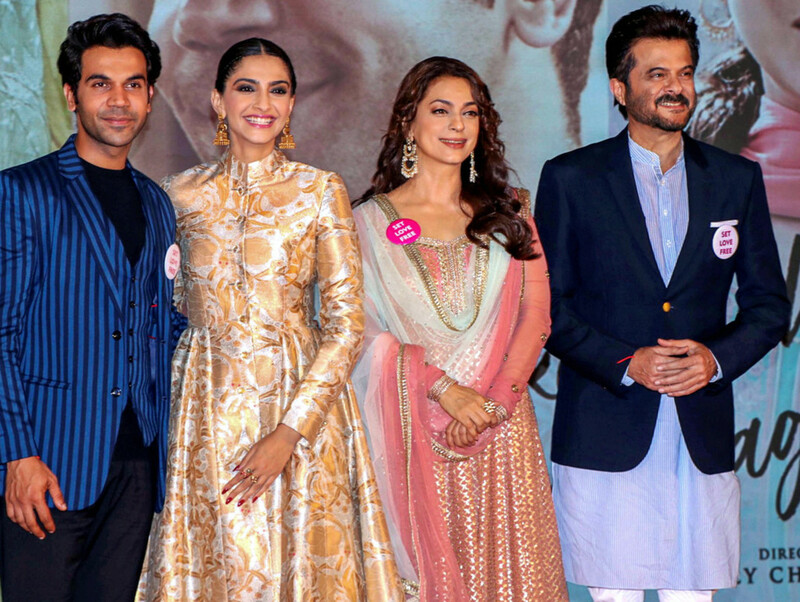 Ahuja was interacting with the media at the promotional press conference of ‘Ek Ladki Ko Dekha To Aisa Laga’, along with his co-stars Anil Kapoor, Rajkummar Rao, Juhi Chawla, director Shelly Chopra Dhar and producer Vidhu Vinod Chopra in Mumbai on Monday. Ahuja is playing a gay character in the forthcoming movie. Kapoor is collaborating with his actress-daughter Ahuja for the first time with ‘Ek Ladki Ko Dekha To Aisa Laga’. “I am not a political person. I am very liberal person. I believe in ‘live and let live’ policy and that’s my way of thinking and that’s the way I am. I believe in a democratic society. Otherwise, when I listen to a story that time, I am an actor. If I love the story and I love my role then I just do it. After that, whatever happens, it’s entirely up to the audience,” he added. Produced by Vidhu Vinod Chopra and directed by debutant Shelly Chopra Dhar, ‘Ek Ladki Ko Dekha To Aisa Laga’ is set to release in India on February 1.